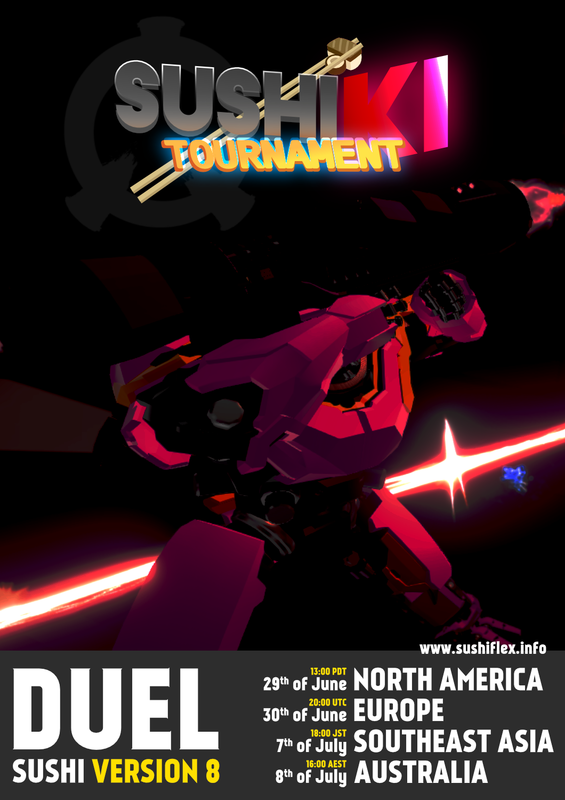 The Ki Tournaments are the Sushiflex Organization's main line of tournaments hosted tri-monthly for the two main modes of Sushi ruleset play: Duel & 2V2. DISCORD - All entrants are required to be within the Sushi discord. SKT ONE is the first event in the Sushi Ki Tournament and will run an altered format than the future line of tournaments. This altered format is used to support change within Reflex and provide something new to the table. SKT ONE has dropped The Catalyst, the most played map, in favor of adding the top two (2) maps from the mapping pool giving us a six (6) size map pool. Grand Finals: Best of Five (+ Best of Five is LB Finalist wins initial set). 2X Random Ban at the start of each set. Roll for first map Pick Advantage. Before the start of a set 2 random maps from the A-List will be banned for the entire set. If the set is a Best of Five, no map will be banned. Both players will then roll to decide who gets pick advantage among the remaining 4 maps. Each consecutive match afterwards the loser of the previous match picks the map. NO MAP MAY BE PLAYED MORE THAN ONCE. SEA and AU tournaments will have their registration and prize pools released once we have found suitable tournament admins for them. SEA is also in need of Sushi Ruleset servers. Sorry about all of this. This will be a livestreamed event.